If you’re looking for a book that will keep you up past bed time, read Into The Darkest Corner by Elizabeth Haynes. I raced through this book in one day. I couldn’t put it down. Four years later, Cathy is suffering from obsessive compulsive disorder (OCD) and struggling to keep her life on track. Haynes tells two stories simultaneously, alternating between Cathy’s relationship with Lee and the present day. The pace and structure of this book kept me hooked. Haynes also provides an interesting insight into living and dealing with OCD. 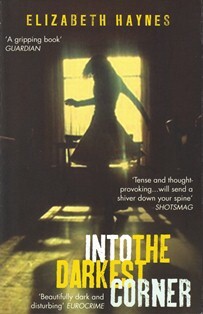 Into the Darkest Corner was named Amazon’s Best Book of the Year 2011. I couldn't put this down. Such a scary, exciting read! Best book I've read in a long time , definitely recommend getting your hands on it!